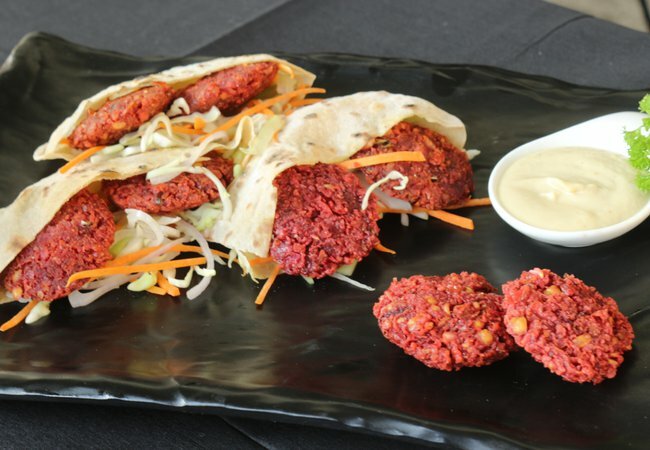 The classic falafel are small croquette or patty of ground chickpeas and other vegetables, seasoned with spices and deep-fried. Perfect appetizer when stuffed in a wheat made pitta pockets and a salad for starting your party. The crunchiness of falafel and creamyness of a salad makes a perfect blend.